Bryony May doesn’t want to move house, even if it is to a sweet cottage by the sea. 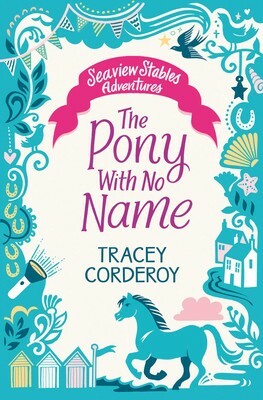 Not when she has to leave everyone behind – her school friends and her four-legged friends at the local riding stables. Then, while exploring the woods near her new home, Bryony meets a beautiful bay pony. The pony is seriously spooked but luckily Bryony is able to calm him down. Afterwards she can’t stop thinking about the little pony so when they unexpectedly meet again days later, she knows it’s meant to be. That is, until she meets Georgina… Georgina’s supposed to be the pony’s owner, but she doesn’t seem to care a bit about him. She hasn’t even given him a name! But for some reason she’s determined to keep Bryony away. Will Bryony ever get close to her dream pony? A story of friendship, adventure and the love of a horse. For fans of Amanda Wills, Pippa Funnell, Stacey Gregg and Lauren St John.